I met a couple from America in Kotor and we chatted for a bit. 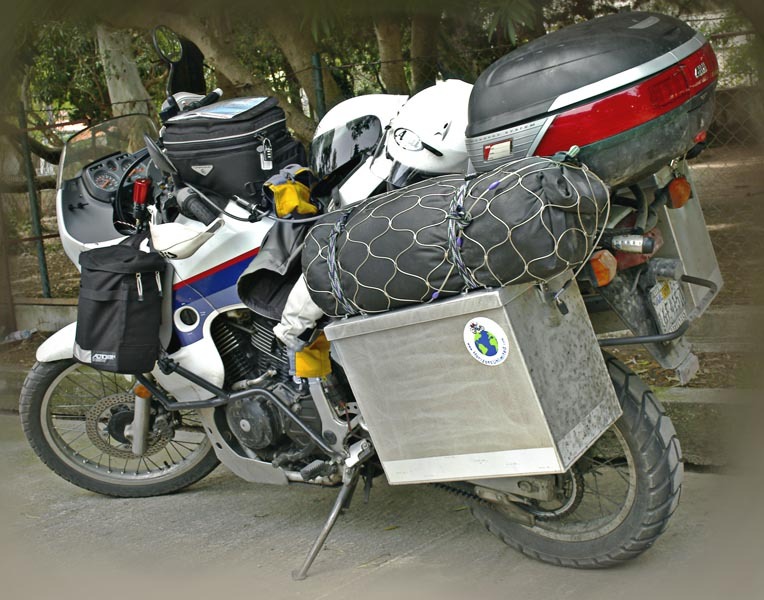 He had decided to go around the world by motorcycle and the trip was one year away. This was definite. Then he met a lovely lady. He was upfront with his plan and the relationship grew. By the time the time to leave came, she decided se would join him. Once motorcycle, one year, one world, two people. He described the motorcycle in detail, so when I saw this a few days later, I knew they were in town (and the California license plate confirmed it all). I like Honda Africa Twin. It's nickname "Horse" Nice detail Dan.